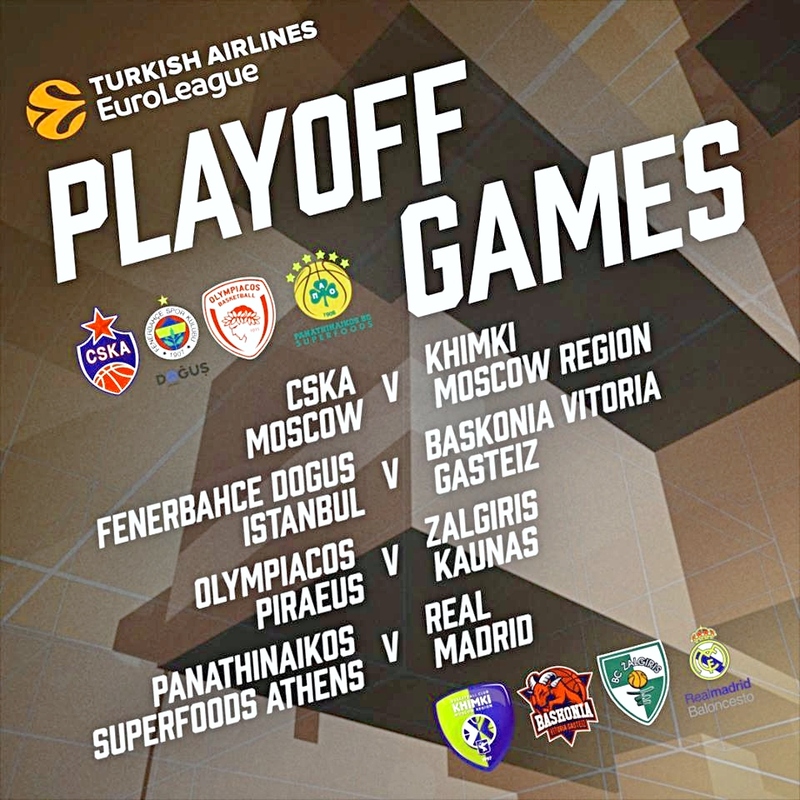 The Turkish Airlines EuroLeague Playoffs tip off with Game 1 in four best-of-five quarterfinal series on Tuesday, April 16 and Wednesday, April 17. Here’s the complete schedule for the four playoff series CSKA and Baskonia, Efes vs. FC Barcelona, Real Madrid taking on Pana and Fenerbahce vs. Zalgiris. You’ll be able to print one out in PDF also. Scroll down to see the individual schedule for each playoff series or click here to go to our Euroleague playoffs forum. These quarterfinals series are best of five, so the fifth game is only necessary if the series reaches a 2-2 tie. In that case, the deciding fifth game will be played on the court of the higher-seeded club. The 2019 Euroleague playoffs kick off in Moscow, Russia where second-place CSKA will host KIROLBET Baskonia Vitoria Gasteiz of Spain. The two clubs met in Round 30 of the Euroleague regular season, so they’re familiar with one another. This playoff match up will be the fourth time that Baskonia and CSKA Moscow have met up in the postseason. One of the top organizations in the league, CSKA has won every one of their last 13 playoff series. This year, the team is led in scoring by Cory Higgins. Obviously, Baskonia is looking to advance so they’re going to have to play spoiler and make it an unlucky 14 for CSKA. Here’s the schedule for CSKA-Baskonia match up. You can also discuss the match up with other CSKA, Baskonia and Euroleague fans in our forum. In the second match up in the day, the top regular season club, Fenerbahce Beko Istanbul, will host the visiting Lithuanian club Zalgiris Kaunas in their jump off match. These two clubs matched up in 2018’s playoffs having competed in last year’s Final Four. Under legendary Fenerbahce head coach Zeljko Obradovic, the Turkish club hasn’t lost one post season home game. Kaunas is being coached by former Lithuanian superstar player Sarunas Jasikevicius and center Brandon Davies has Zalgiris peaking at the right time; boasting six consecutive wins coming into the Euroleague Quarterfinals. Something has to give. Chat up other Zalgiris and Fenerbahce fans in our Euroleague discussion forum. The second day of Euroleague playoff action is Wednesday and it pits Anadolu Efes Istanbul against FC Barcelona Lassa in their first playoff game. Efes is coming off over a decade of frustration in the Euroleague playoffs. Since 2005, the team has posted a sad 0-5 playoff series record. Their success this year isn’t a given since they’re going up against the defending continental champion that’s equally as hungry for playoff success and what would be their first Final Four appearance since 2014. The question is: which team is more desperate to advance? In the second match up of the second day of the Euroleague Playoffs has Real Madrid, 2018’s defending champs in what is a re-match of last year’s series with Panathinaikos OPAP Athens of Greece helmed by point guard and the league’s top assist man Nick Calathes. The games kick off the fist two games in Madrid. Panathinaikos are ready to exact some vengeance with plenty of momentum going into the 2019 post season having won seven of their last eight matches. 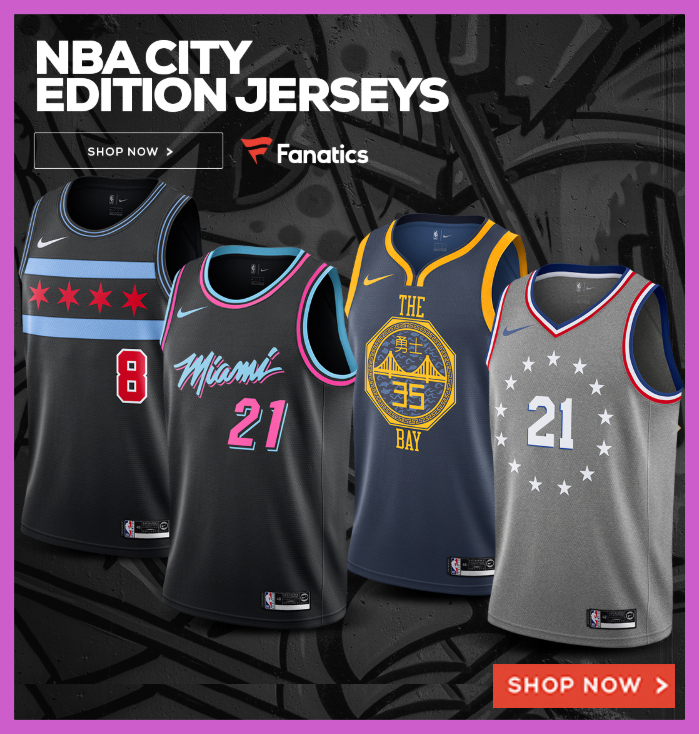 The only one they didn’t win happened to come at the hands of Real Madrid’s Rudy Fernandez‘s one-handed three-point desperatoin heave that beat in Round 29 of the regular season. That dramatic shot gave Real Madrid a 74-73 win over Pana. Sorry for posting that, Panathinaikos fans. In any case, this series promises to be insane. Here’s the schedule for the Real Madrid-Panathinaikos series starting on April 17, 2019. Jump to our Real Madrid-Panathinaikos OPAP series thread in our forum. Stay tuned for our printable Euroleague Playoff bracket.